Summer is fast approaching and before I lay on the beach and bask in the sunlight, I want to start this year with a climb in Mt. 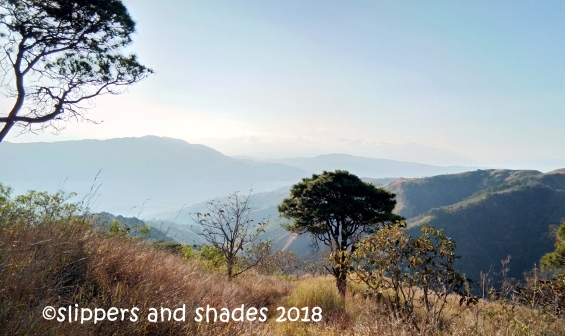 387 which is popularly known as the “Chocolate Hills of the North”. It is ringed by rolling hills and green valleys making it one of the wonderful hiking destinations in the country. 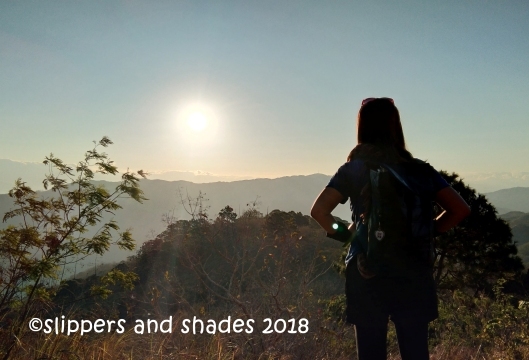 I joined the group of Tahak Mountaineer headed by Mar Monge for P750 with my favorite trek buddy, the courageous and adventurous Lhen Pelenio. Mt. 387 (also known as Mt. Batong Amat) is located in Barangay Puncan, Carranglan, Nueva Ecija. Many are curious why it was called as such. Well, the mountain got its name, from its size, 387.9 hectares of the Talavera Watershed Forest Reserve. Our meeting place is in McDonald’s in Mindanao Avenue. By 12:00 midnight we set off to Nueva Ecija. 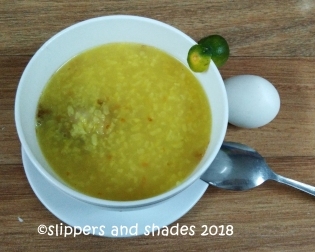 By 3:11 am we had a stopover in San Jose for a yummy lugaw and hardboiled egg to fuel up our bodies. By 4:20 am we arrived in our destination. We rested for a while, ordered our desired meal for our early dinner and had our bio break. We were given a brief orientation about Mt. 387, the do’s and the dont’s by Kuya Roy, the chairman of Kalinga sa Kalikasan ng Puncan. 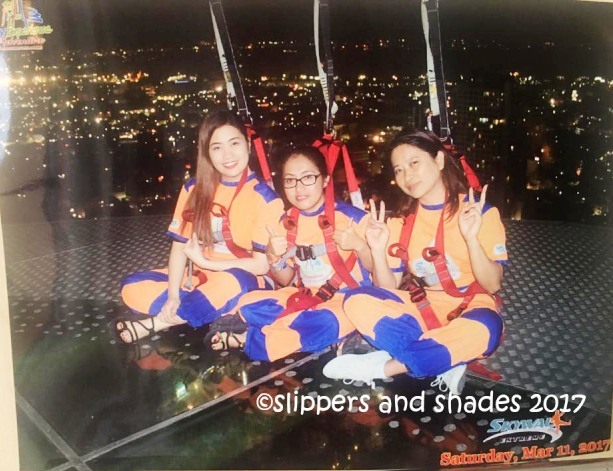 Expect three exciting activities to do in Mt. 387 if you will do the backtrail. First is the planting of trees which is part of the preservation of its natural grandeur. 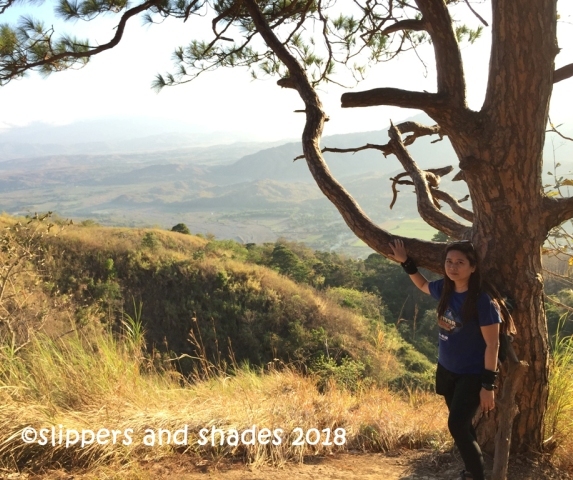 But as of this time, trees were already planted by previous hikers so our assigned task is to water the trees by bringing one bottled water each. 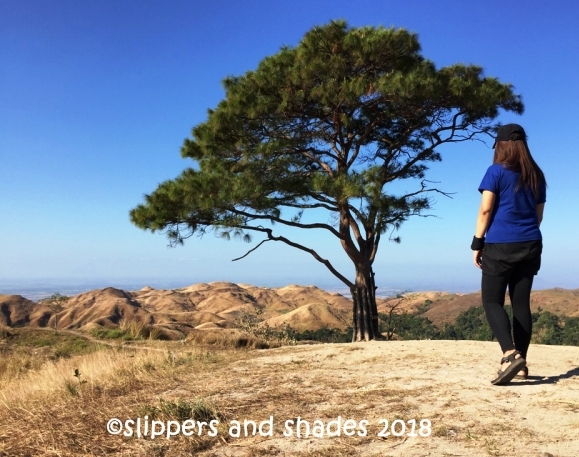 Second, feast your eyes with the amazing view of the Caraballo Mountain Range, the beautiful setting of talahib (tall and course grass) dotted with pine trees. Yes! There are pine trees here. 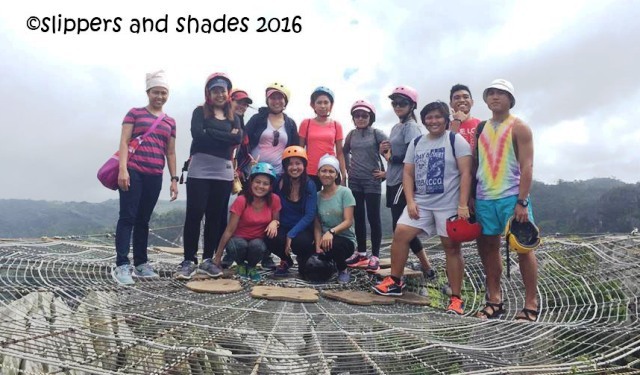 Third, the photo ops under the shades of Lover’s Tree. 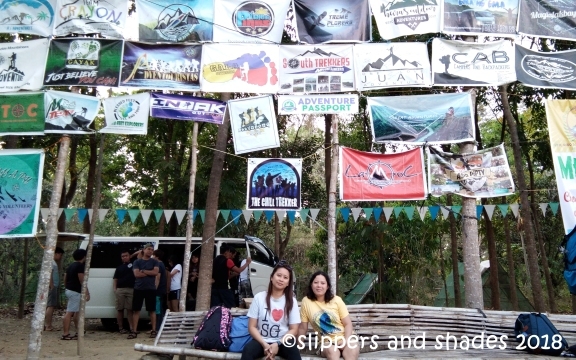 But if you will do the traverse, there are two added fun activities you will surely enjoy: swimming in Aloha Falls and the fun slide to the slippery cogon grass which will bring out the child in you! But bring with you lots of patience and determination because going down in a never-ending steep slope will surely wear you out! It’s been a long while since Lhen and I climbed Mt. Maculot in Batangas. I can’t hide my excitement because after eight months of rest I will be seeing another God’s wonderful creations. There is something so magical in mountain climbing that I miss doing this activity again. But before the big thing, someone from the group led a prayer for the Lord’s guidance and protection. Shortly after, we officially started our trek by 5:15 am. We will do the traverse. Sounds so exciting! It was still dark when the initial part of the hike began in a forested trail. Surprisingly, we were embraced by the cool breeze as we head on. It was easy at first but later I have to stop for several times to catch my breath on assault part. I’m forty five and I’m sure this has something to do with my age. Hahaha! me and the Tahak mountaineer group… in Taiwan Taiwan mode hahaha! Few minutes passed, we all stopped to admire the sky started to change its color as the sun spilled its rays into the horizon. 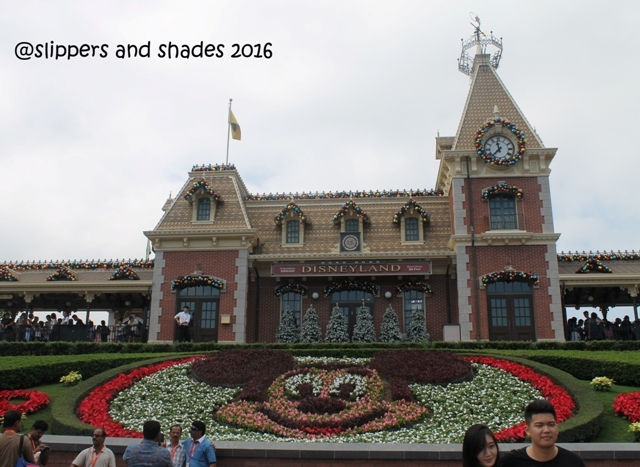 It was a spectacular wonder that put sparkle in my eyes and took photos as part of my priceless souvenirs of Mt. 387. We had our first official photo session in a pine tree near a suspended hill with a pleasant view of the valley as our backdrop. 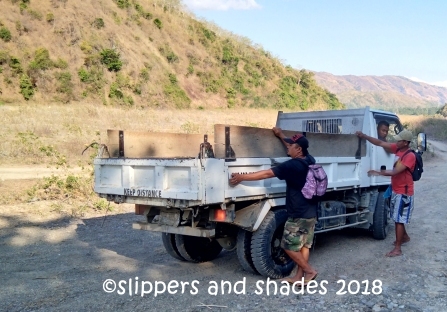 It took us around thirty minutes before we set off to the tree-planting area. The trail to the rolling grasslands was a sight to behold. The sun was hovering in the sky and I was in awe seeing the picturesque sight of talahib grasses in its brown and yellowish hues. And it was so good to see pine trees too. It was like a painting in a canvas. It was breathtaking! 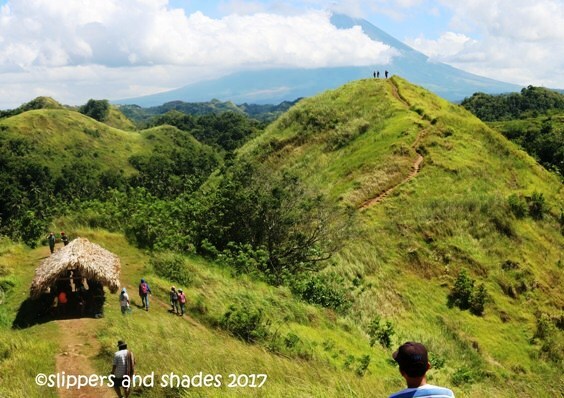 Nearing the Lover’s Tree is the nipa hut which serves as resting place for trekkers coming from the assault climb. I was the last to arrive (as always! hahaha!) so they waited for me and then we headed to the tree planting area where we watered the trees which are now starting to grow. We snapped group photos here and later headed to the popular Lover’s Tree, the lone pine tree situated at the base of the summit. 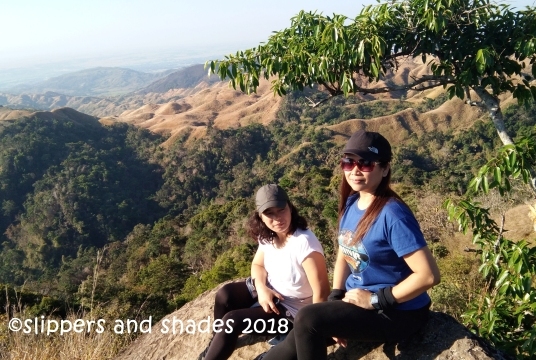 We continued our trek and again we stopped along the way seeing the prime wonder, the expansive view of the Caraballo Mountain Range which is dubbed as the “Chocolate Hills of the North.” The verdant rolling hills somehow resembled that of Bohol’s prime tourist attraction. It was beautiful! 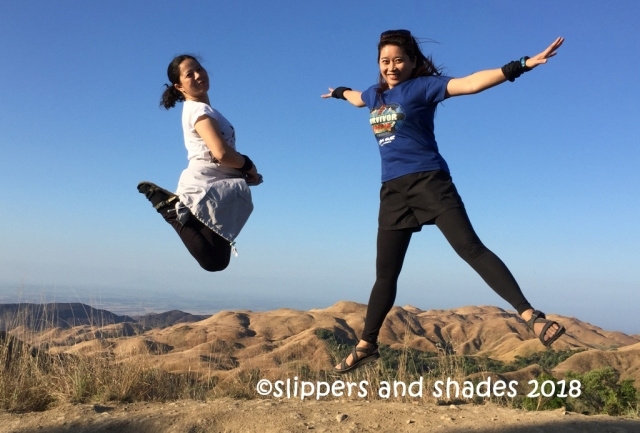 We had our happy jump shots here! Few more minutes and finally, we arrived at the summit of Mt. Batong Amat (The Ghost Rock). It was a flat surface with several boulders and where the Batong Amat Peace Park marker can be found. The best angle one could ever have of Mt. 387 is standing/sitting in the most prominent boulder with the beautiful mountain range as backdrop. I was so happy because each one of us had again our shining moments in that particular spot. And of course, we had our group shot. We took some rest and started to set out for the traverse hike in getting to the Aloha Falls. But before we descend to the most challenging part, we will be passing Tinaluha Trail. 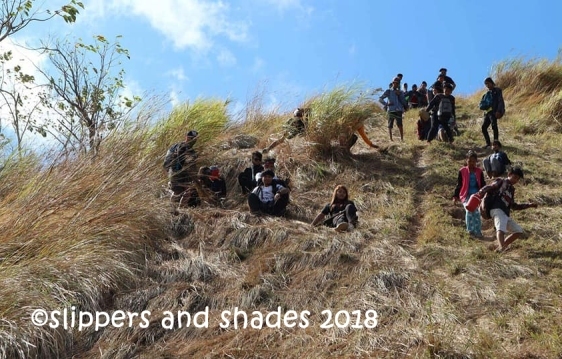 It was a very steep slope where you will choose either to walk downhill to the rocky part or slide to the grassy area. Seeing the thrill in this particular area, we all decided to slide in the talahib grass which is already an established trail done by previous trekkers. The grasses were slippery and so it will be easy to slide downward. The courageous boys initially did it first. When they reached the bottom, they acted as support to all the girls until we hit it too! It was so wonderful! We were like children squealing in delight. It was an awesome experience that the boys slid twice! Then came the knee-crushing descent, the most thrilling part of the traverse trail. 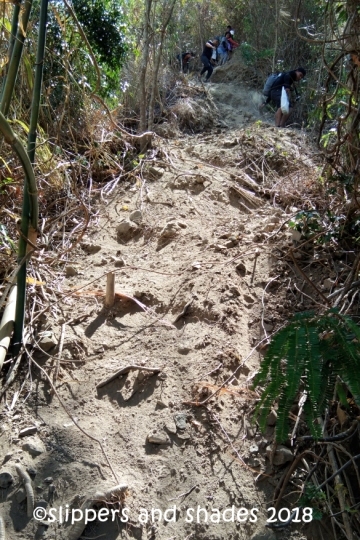 And for a casual trekker like me, going down in a never-ending steep slope where the soil is very dry, loose and slippery is so tiring. 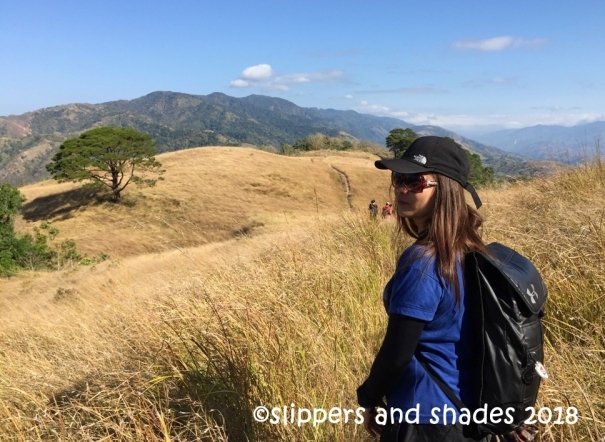 I clung to small bamboo stalks and scrambled on grass blades while most of my trek buddies were walking in a normal way. I wish someday I will be like them. I thought my knees will recede but it did not and for the brighter side, I did not slip in the entire downhill trek. Congrats to me! Hahaha! Approaching the waterfalls gave a refreshing feeling. It was estimated around 25 meters high where the water cascades in a small catch basin. It was so inviting to swim in its clear and cold water, but Lhen and I chose not to. We ate and later took a nap. The rest of the group enjoyed dipping in the water. We spent about three hours in the falls and later headed to the waiting area for the 4×4 ride. There were at least two river crossings in getting there. I was thinking we will be fetched by a 4×4 jeep like those of Mt. Pinatubo’s. But surprisingly, it’s not! It was an elf dump truck where we enjoyed a noisy, bumpy and jolting ride for about ten minutes. We went back to the jump-off point and feasted to our pre-ordered sinigang na baboy and rice as our early dinner (P70). After a heavy meal and tidying up, we head off to Manila at around 6:00 pm. Mt. 387 is highly recommended for beginners and for a day hike. If you want some thrill, do the traverse as it will challenge your knees in getting down the steep slope. I was thankful to Lhen and the members of the Tahak for bringing me to one of the wonderful hiking destinations in this region. 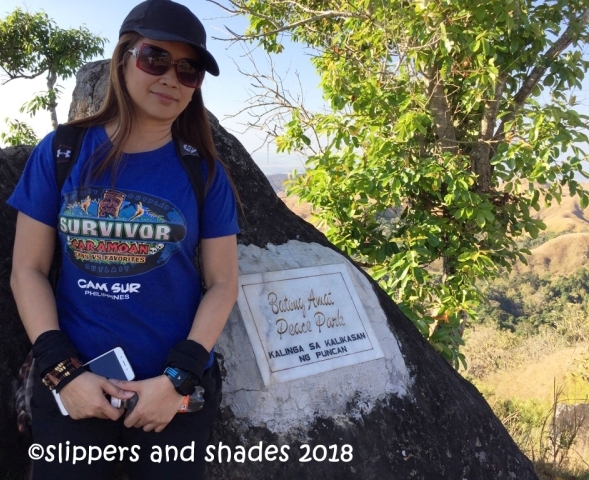 Thank you so much to our two trail guides – Jojo Cerios and Justine Magabo for their patience and tips. 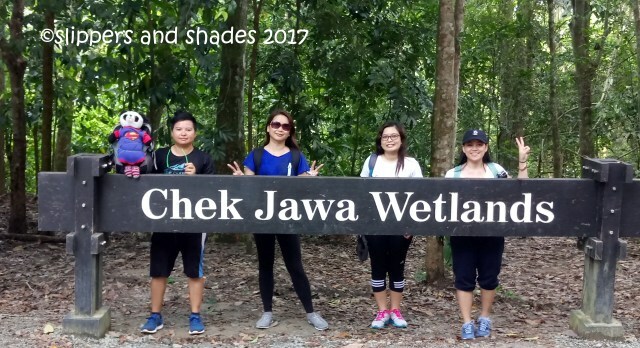 I opted to join a group (like this one) for I saved expenses, met new friends and eventually earned unique experiences from different individuals. 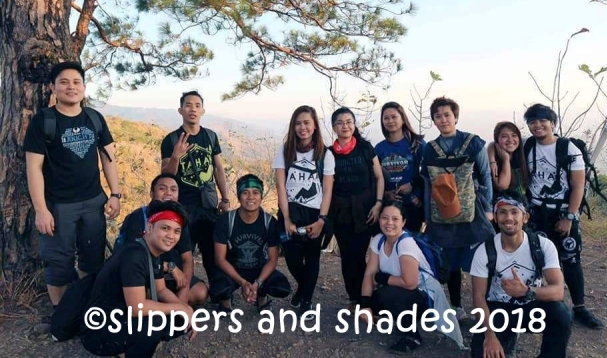 But if you are not comfortable mingling with different people, it’s best that you do the “DIY” style so you can plan your hike according to your desired time and schedule. 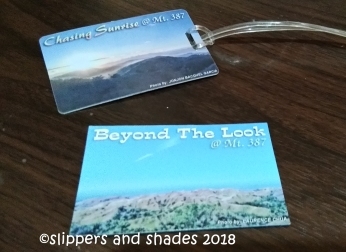 If you are planning a day hike, take the midnight bus so you can start your adventure early where you can eat breakfast and will see the spectacular sunset. Always pray first before the climb. From Manila take a bus ride going to Tuguegarao-fare around P300-330 (Victory Liner in Kamias, Five Star in Cubao or Florida Bus in Sampaloc) then alight at Km. 175 Barangay Puncan in Carranglan, Nueva Ecija. Nearest landmark is Iglesia ni Criso church. 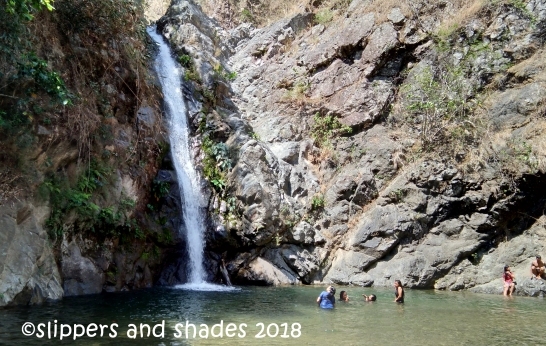 This entry was posted in Adventure, Archive, Articles, Nueva Ecija, Philippine Mountain, Philippine Travel, Philippine Waterfalls, Vacation and tagged adventure, Kalinga sa Kalikasan ng Puncan, Mang Roy, mountain, nature, Outdoors, people, recreations, Talavera Watershed Forest Reserve, transportation, vacation, waterfalls by shadesandslippers. Bookmark the permalink. Hi. What group po kayo nag-join? may info po kayo kung pwede ang overnight sa 387? Puwede po, overnight guide is P550. Thanks for visiting my site.